/Precautions/ 1. [Important] Please be sure to send a letter "inquiries period" before ordering! Due to the schedule of the order is based on the designer's current order amount to determine, if you can not meet the time after the next order, you can apply for a refund. Please be careful to avoid bother! 2. Each slice of icing sugar biscuit is drawn by hand. The color, size, and photograph may differ slightly. Please consider before buying. 3.Welcome to inform the user of the purpose of use and gifts after ordering. The designer will adjust the packaging and gift box style according to the situation. 4. Customized products Please inform the text and photos later after confirming the order so that the designer can make it as soon as possible. /product description/ This cookie is simple and cute, suitable for those who want to make you happy, and is also suitable as a gift for any occasion! 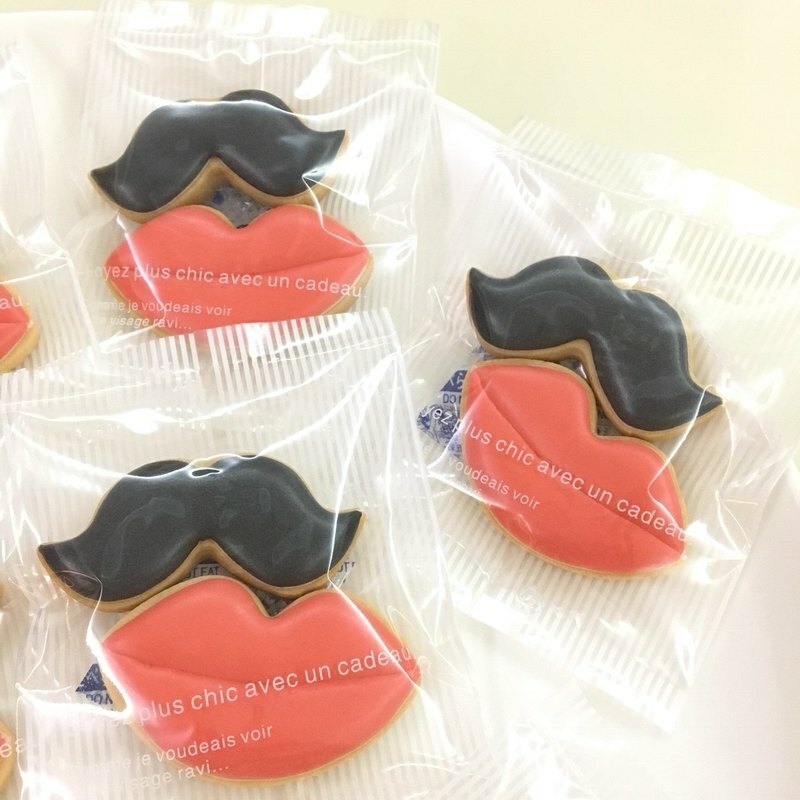 :) PS lip color if you need to adjust please take the initiative to inform the designer ~ /size/ A piece of beard about 6 x3 (cm) A slice of lips is about 6x3.5 (cm) / Quantity / A group of 2 (packed together), a total of 10 groups /raw material/ France Isigny top salt-free fermented butter, Japanese diamond low-gluten flour, New Zealand sun natural sea salt, the United States Wilton/Americolor edible color cream, British Rainbow Dust food color paste, Taiwan Nanbeifang powdered sugar, the United States Wilton protein powder, fresh Taiwan egg * Use US/UK sugar beads, Japanese silver foil beads, Taiwan/UK pearl powder, Taiwan fondant /storage method/ It is recommended that eating flavor be better within two weeks. Unopened and stored at room temperature for 30 days without refrigeration A desiccant is attached to each biscuit / Origin / Handmade in Taiwan Origin / manufacturing methods .